"Working at a pizza joint, I bring home pizza a lot. Most of it gets tossed or friends eat it. I made this recipe growing up making changes as I go. I believe it is good enough to share now! Try with your favorite pizza! 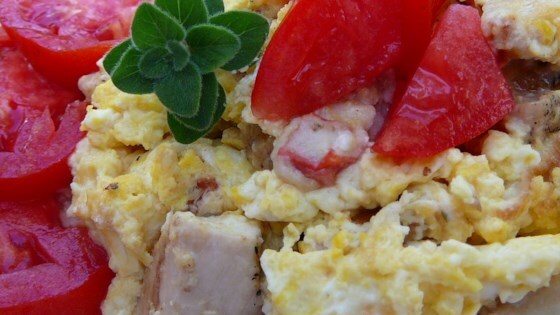 Top eggs with shredded Cheddar cheese if desired." A spicy pizza topped with hot Italian sausage, eggs, and arugula. I LOVE these! Fabulous idea! I've made them with & without the crust. Love it both ways! HATE TO WASTE FOOD. THIS IS EASY AND TASTY.